Customize your Basic Network Diagram with more than 2 000 pre-designed network elements. Computer & Networks solution allows you design simple LAN and WAN, cross-over cable wiring diagram and rack diagrams. 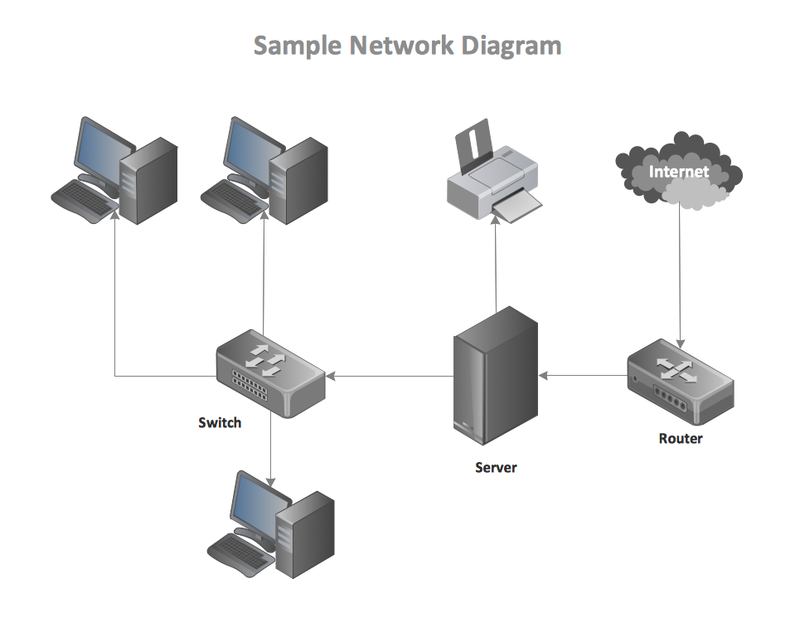 This basic network diagram sample is created using ConceptDraw DIAGRAM diagramming and vector drawing software enhanced with Computer & Networks solution from ConceptDraw Solution Park. Computer & Networks solution provides libraries of symbols for network components and points, LAN and WAN, schematic and wiring drawings. Use ConceptDraw DIAGRAM program with of Computer & Networks solution as tools to draw professional-looking network architecture, topology, design, layout and wiring diagrams quickly and easily, and to clearly present and communicate it to IT and telecom engineers, stakeholders and end-users.